Looking for a good way to cool off in the summer heat? What better way to do that than with 1,000 ice cream bars to share with your family, friends or neighbors. That’s exactly what Snickers Ice Cream is giving its fans a chance to do. SNICKERS Ice Cream is taking to Twitter to award fans with free ice cream, and they’re making it easy for you and your readers to enter for a chance to win. 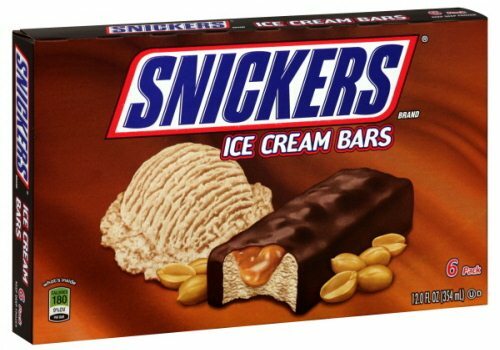 All you need to do is tweet @SnickersIceCrm and tell how you would share 1,000 Snickers Ice Cream bars. The three fans who answer most creatively will win 1,000 deliciously cool Snickers Ice Cream bars. Entries are being accepted now through midnight (ET) August 9th, and winners will be announced via Twitter @SnickersIceCrm. Full contest rules and guidelines can be found here: http://twitdoc.com/18R0.